Since Tom and Caroline took over the shop, it has become the hub of the village where not only people shop, but also meet for coffee and cake and the newspapers. It’s now the friendly and social cornerstone in the village, whilst supplying top-drawer, high quality groceries . There’s a fresh food counter stocking artisan cheeses and handmade produce including quiches, scotch eggs, pies, deserts and more — the stock is always changing. 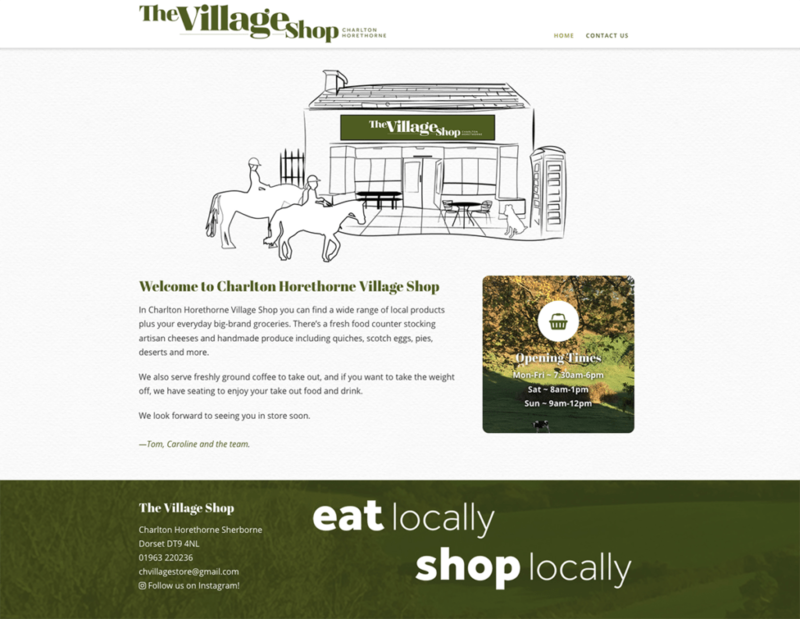 As a resident of Charlton Horethorne, I was only too pleased to create the website and it resides as an examplar of minimal and functional design in my portfolio.